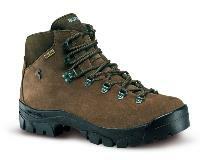 UPPERS: One piece premium quality waterproof 2.6 mm. split leather. Fully padded for superior comfort with anatomic flex zone. SOLE ATLAS MARINO Vibram Wolf. Features shock absorbing PU​. 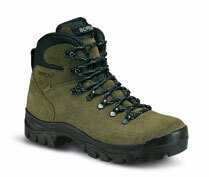 USAGE: Trekking, backpacking,fell walking, 2-3 season use. The upper is made from premium quality one piece split leather which is very durable and doesn’t show scuffs and scrapes easily. Our unique Dry-Line® lining system is fully waterproof and has superior moisture vapour transfer performance to help keep your feet dry in all weathers.